Typical facades with windows and half-timbered constructions in an alley in York. 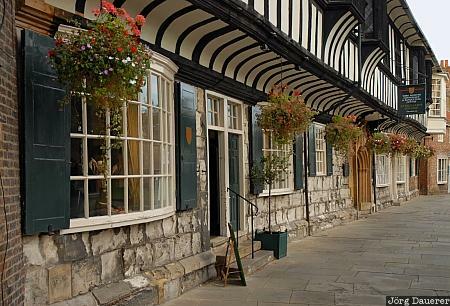 York is in North Yorkshire, United Kingdom. This photo was taken in the evening of a rainy day in September of 2007. This photo was taken with a digital camera.